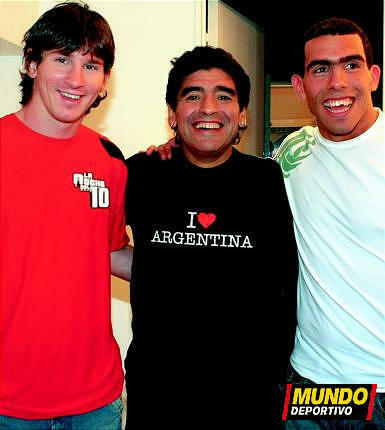 Messi, Maradona,Tevez. . Wallpaper and background images in the リオネル・メッシ club tagged: lionel messi argentina carlos tevez diego maradona. Messi! He conceal シャキーラ adultery with ジーザス on a シャツ !!!!! Piqué キッス with Messi !! !